CalcKit: All in One Calculator is a lightweight, clean and easy to use all in one package with over 150 unique calculators and converters. 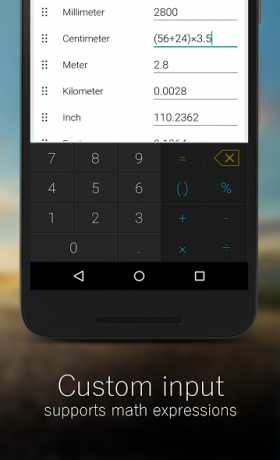 Containing a large collection of unit converter, electronic and mathematic calculators, packed in with a beautifully designed Scientific Calculator, it’s the only calculator app you will ever need on your device. 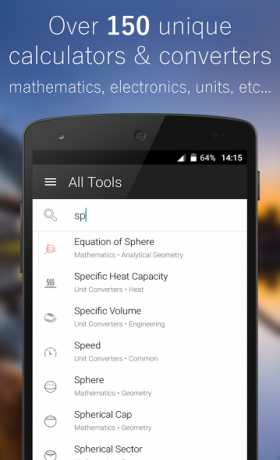 It contains great calculators for school and homework, but not only. If you’re a scholar, student, teacher, handyman, enthusiast, engineer… and you need an all in one calculator for your device, give CalcKit a try.